The clarification of truth and lies is the work of the mind, and for this we need to work from the aspect of “faith,” with the “faith of the sages.” After all, one cannot clarify the concept of truth and falsehood for himself. We must convince ourselves to accept the higher standard that bestowal is truth. We will never be prepared to know it ourselves. 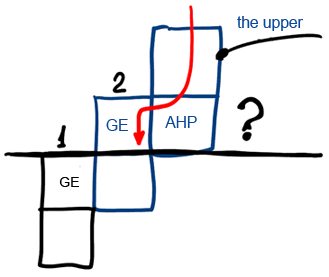 We are found on a lower level and are linked with our higher part (Galgalta ve Eynaim) to the higher level by way of its lower part (AHP). It follows that we can attract the Light to us only by way of the AHP of the higher. It is impossible to know what the higher level is, as long as we haven’t ascended to it. And in the beginning we are found entirely on an even lower level completely below the upper; this is my first state. After that we rise to a second state and are already clothed in the AHP of the upper. But we can never truly know what this is and what the sweetness is in the upper one. We always need to search how to find and acquire new observations and feelings in order to rise to the next level. It follows that I have no other choice but only to accept this with the “faith of the sages,” with faith in the upper, which is found above me. According to me he is considered to be a sage, for he has wisdom that I don’t have. I must only supply myself with Hassadim and then I will be able to accept the conditions from the upper, his advice.